Marguerita McManus of Crazy Short Cut Quilts has given me permission to embed this video. It's a video on how to chain piece fabric for quilts, and then how to press them. 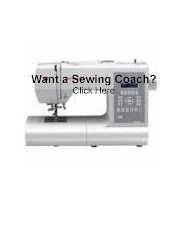 This video is quite valuable to those who are using our patchwork/quilt e-patterns. Chain piecing the squares is the quickest and easiest way to create the tiers. In her video she pieces pairs then presses. For our patterns I'd piece pairs, then quads, then eights and so on until I'd pieced the proper number for the tier. I wouldn't press until the tiers were all complete. There IS no better way. I always have a huge pile behind my machine. If you want to do chain peicing & accomplish 2 tasks @ once - consider looking into a "leader/ender" project. You can find lots of ideas, tips, & free patterns on the www.quiltville.com site.